Discover the source of your pain with X-rays, Musculoskeletal Ultrasounds, and MRI's from Stevens Point Orthopedics. Treat your pain and find out more about the sources of your discomfort with Diagnostic Services from Stevens Point Orthopedics. 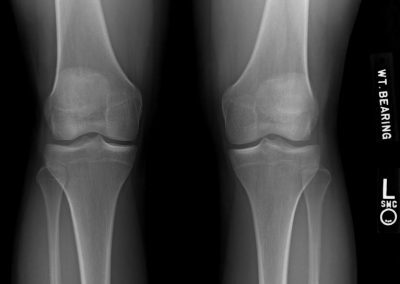 Using X-rays, Musculoskeletal Ultrasounds, and MRI’s, the professionals at Stevens Point Orthopedics will give you clarity on any lingering issues and offer treatment to get you back into your regular routine. The use of an MRI can assist your provider in locating the source of your pain. Stevens Point Orthopedics is proud to offer Magnetic Resonance Imaging (MRI) that is certified by both The Joint Commission (TJC) and the American College of Radiology (ACR) three days per week: Tuesday, Thursday, and Friday. 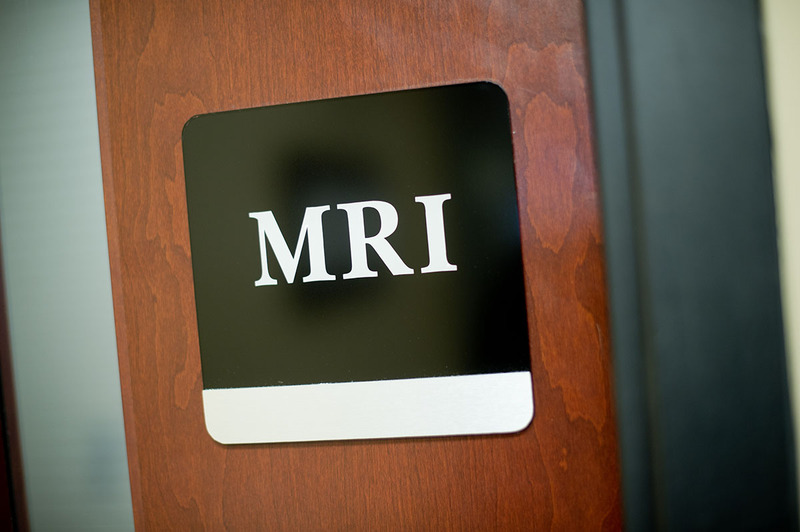 Because MRI produces images from any angle with great clarity, it provides a wealth of diagnostic information. The use of an MRI can assist your provider in locating the source of your pain. The MRI uses a magnetic field and radio waves to take images of structures and organs inside your body. During an MRI test, the area being studied is placed inside the MRI machine which holds a strong magnet. Radio waves are sent through your body causing the atoms in your body to send out their own signal. The signal is picked up by the scanner and a computer turns this signal into images on a computer. The images from the MRI machine are digital, so they can be viewed and stored on a computer. The images can also be viewed remotely, such as in the operating room or in an office exam room. A technologist will position you on the scanning table. 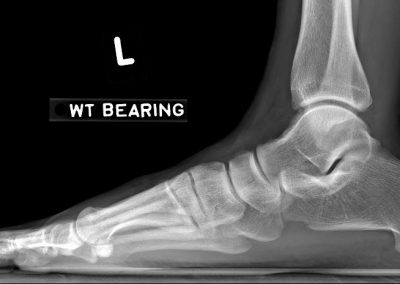 Depending on the body part being scanned, you may be placed either head-first or feet-first into the scanner. This is determined by whichever position allows the body part of interest to be centered in the magnet. You will also be given earplugs to help muffle the knocking sound caused by the electricity being passed through the magnetic coil. You will need to lie as still as possible, to prevent the images from becoming blurred. The technologist will be monitoring you from an adjoining room where they can view the images. Occasionally, patients may be given an injection to enhance the clarity of some images. On average, the exam will last about 30 minutes. The time may vary depending on the body part being scanned. After your scan, your study will be read by a radiologist and a follow-up exam with your provider will be scheduled to review the results. No special preparations are needed for MRI scans. All metallic objects are removed from the body prior to the MRI scan such as glasses, earrings, belts, change, etc. You should wear comfortable clothing that does not have any zippers or snaps. You may continue taking any prescribed medications. On some occasions, patients are given a mild sedative to lessen any claustrophobic-related anxiety. X-rays are waves of electromagnetic radiation which take internal pictures of your body. 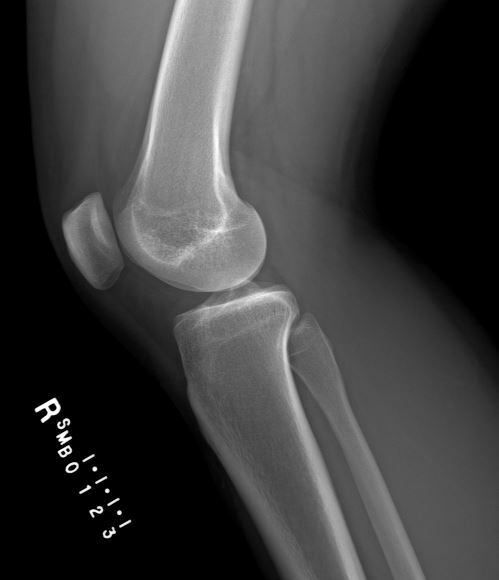 Here at Stevens Point Orthopedics, we use digital radiography for our patients’ x-rays. This decreases the patients’ time in the x-ray room and produces high-quality x-rays in an instant. 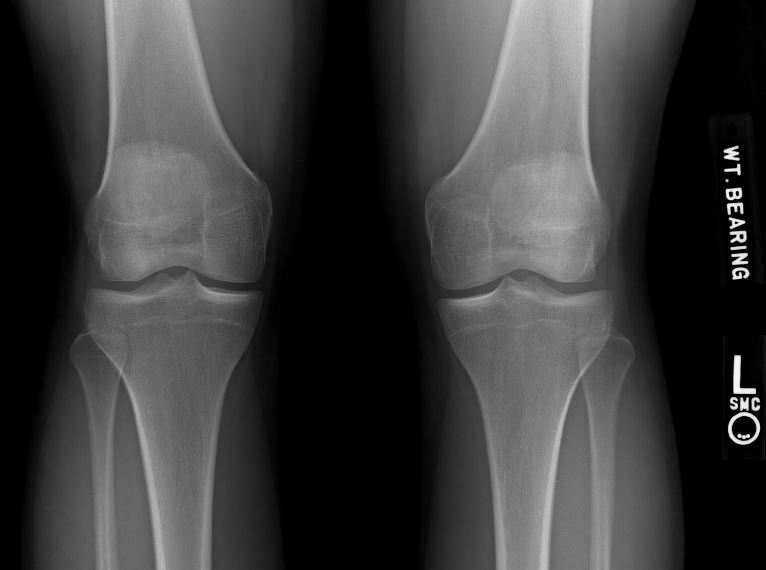 No more waiting around for conventional radiographs which include chemicals and long wait times to produce images or even the slightly slower computed radiography which uses a machine to read the images off of special imaging plates. 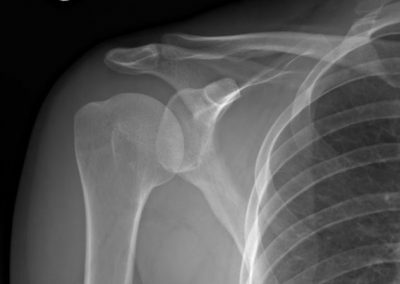 Within seconds of taking an x-ray, the signal is transmitted to a computer where the image appears. This allows the technologist to see the images immediately and decreases the patients’ radiology exam. X-rays were first discovered in 1895 by Wilhelm Roentgen and have since become a crucial tool for physicians to diagnose and treat a vast number of medical conditions. X-ray machines are not new but the technology that produces the resulting images has evolved immensely. Conventional radiography involves using chemicals and film in a dark room in order to produce a viewable image. Computed radiography (CR) eliminates the use of harsh chemicals and working in the dark. Computed radiography uses special x-ray cassettes that hold an imaging plate (IP) which get inserted into an image reader (IR). The image reader then reads a barcode on the imaging plate and a laser light is used to pull the image off of the plate. The result is an image that is viewable on a computer. This technology was a huge leap in radiography. When we did not think anything more convenient or efficient could be invented in terms of radiography, digital radiography was introduced. 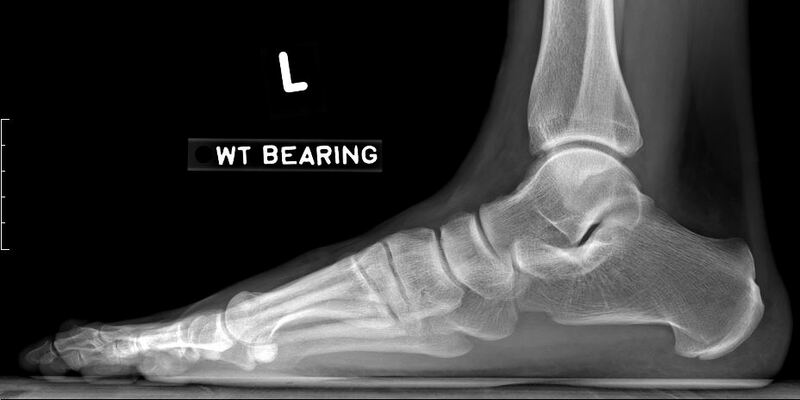 Digital radiography (DR) is similar to computed radiography in that the resulting images are viewed on a computer but without having to insert imaging plates into an image reader and wait for the images to appear. 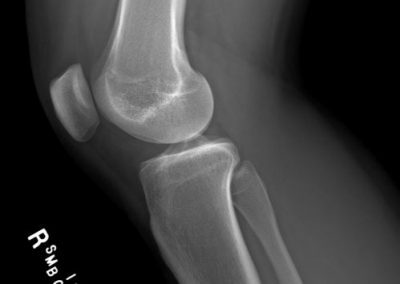 Digital radiography sends a signal from the imaging detector directly to the computer, eliminating the time it takes to scan the imaging plate and wait for the image processor to create an image. 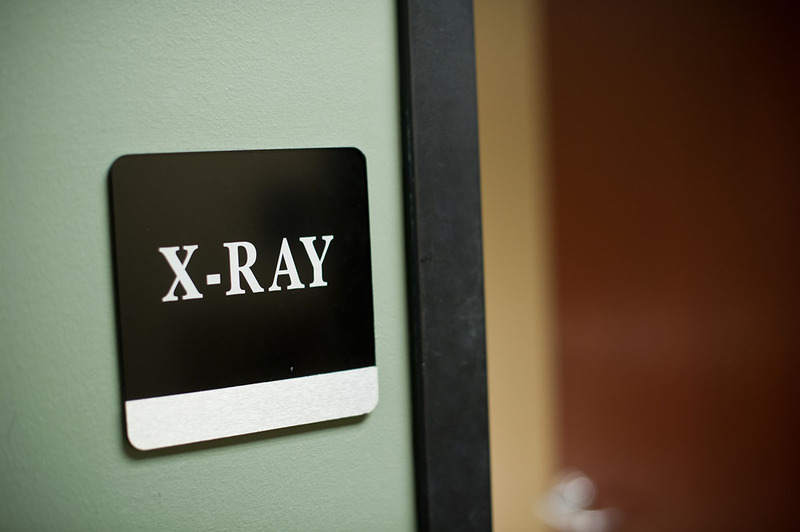 X-rays are waves of electromagnetic radiation which are similar to visible light. A machine produces the x-rays, emits them out of the machine and they penetrate the body. The remaining energy is transferred to either a traditional photo film or to a digital imaging detector. As the electromagnetic waves hit the body, they penetrate the structures at different rates. 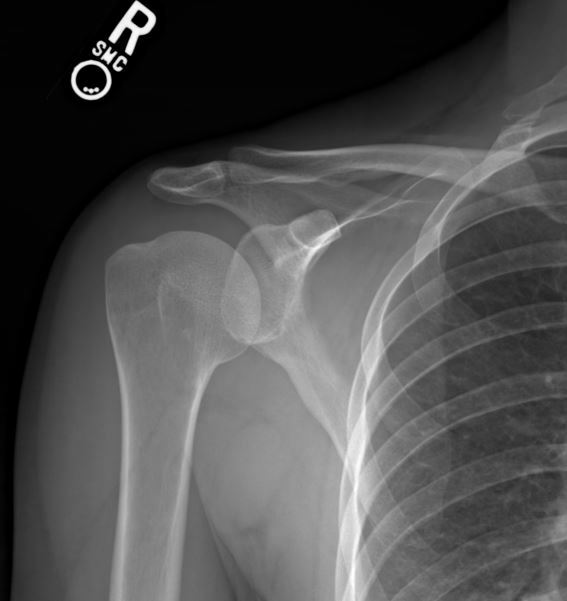 For example, x-rays have a harder time completely penetrating through bone causing bones to show up white on an image, while soft tissues show up gray on an image because it penetrates more easily. In simple terms, radiography is essentially using a special camera to take internal pictures of the body. Using sound waves that travel through your body to create a digital picture in real-time. Musculoskeletal pain affects millions of people throughout the world. Conditions of the musculoskeletal structures can cause more than just pain. Often, patients will experience a decrease in quality of life because the pain limits their everyday activities. The use of musculoskeletal ultrasound (MSK) gives providers a powerful tool to help determine the real issues and develop treatment plans that bring success. Stevens Point Orthopedics is pleased to provide our patients with MSK ultrasounds, giving us the opportunity to better serve you. An ultrasound is a procedure in which highly specialized electronics use sound waves to create images of different structures within the body. A small handheld device is used with a gel and placed directly on the skin. The sound waves travel from the device to the internal structures and back to the machine. The machine measures the sound waves and creates a digital picture that shows a real-time view of the body. Other imaging techniques (like an MRI) are not in real-time and are only able to evaluate the body at rest. An ultrasound can also capture movement and even see the blood flow through the blood vessels. This technology can be extremely useful to diagnose and then treat many issues of the musculoskeletal system. This ability to capture the movement of musculoskeletal components differentiates it from other imaging modalities and can permit more accurate diagnoses. There are a few limitations to ultrasounds. The sound waves from an ultrasound can only go so deep into the body. Bone does not reflect sound waves, so an ultrasound is only helpful for more superficial structures in the body. It is not particularly useful for evaluating the inside of the knee like the meniscus or the anterior cruciate ligament (ACL). It is, however, very useful for tendons of the wrist or elbow. It is also easily portable, which allows for point-of-care application and interpretation. 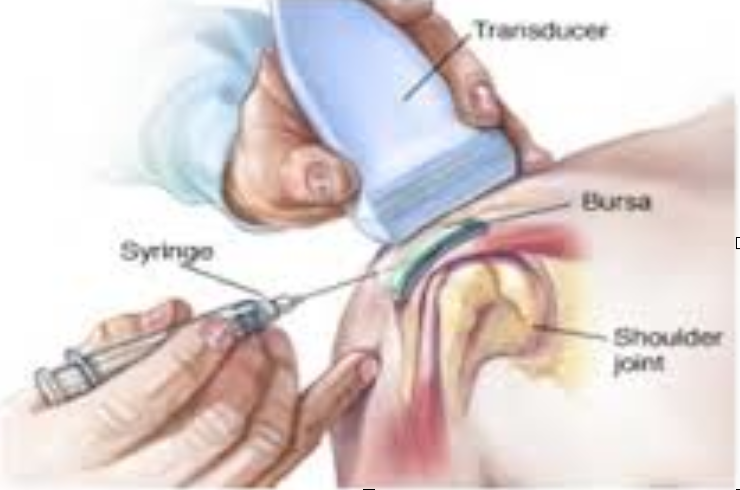 MSK ultrasounds are also very useful when providing injections in the course of a treatment plan. An Ultrasound Guided Injection (UGI) is a procedure that allows image-guided needle localization to an exact tissue or structure. This improves the accuracy of treatment by using the real-time images. Continuous monitoring of the needle position is possible, which makes for more precise injections.